Another basketball classic revived, the Puma Sky II Hi Weave is now in a black/dark shadow/violet colorway that is sure to look good on your feet. 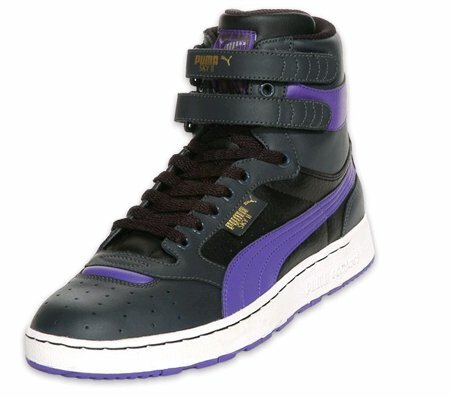 This high is made of a dark shadow and black upper with a violet leather Puma trademark arch on the side. The colors are contrasted by a white midsole and purple sole, but what makes this shoe special is its double Velcro strap in dark shadow. 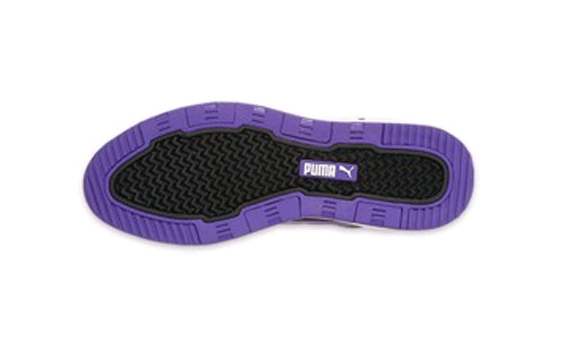 The black leather tongue also features the Puma tag in violet and violet Puma cat in the back heel. 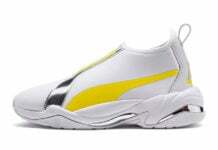 Simple and elegant, be sure to cop a pair on Finishline for $80. Click to Purchase at Finishline.com.